This mosque was built by Haji Sinan Aga (d.1504). the Chicf Brazier of Sultan Muhammad the Conqueror ( 1451 – 1481). 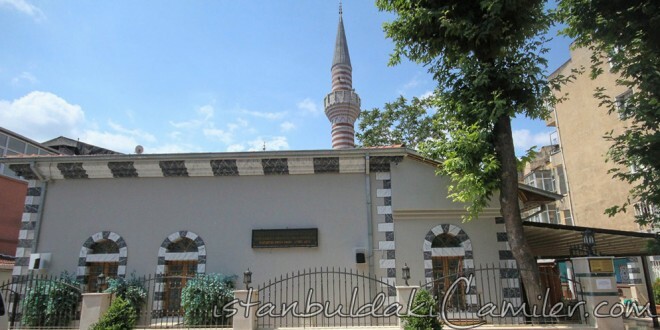 Pirinççi Sinan Masjid, of which are a deed of trust and a neighbourhood, was reconstructed after the catastrophes where by it had burnt and been demolished. The name of the neighbourhood was Pirinççi Sinan and the quarter there of Küçük Karaman. The tombs of Pirinççi Sinan Aga (Sinan Aga the Brazier), Sheikh Sulaiman Effendi (d. 1574), of the Sheikhs of Tarigah Al-Khalwati, Qadi AIi Efendi (d. 1629) as well as several pious personages are in the Hazirah (burial area reserved for special people) before the Mihrab (the niche of a mosque indicating the direction of Mecca). The mosque, which had been razed into ruins with the disasters that had broken out successively in the 19th century, remained in a derelict state for decades and was partly used as a workplace. There after, it was restored and renovated, in such a manner as if it had been almost reconstructed entirely, with the donations and contributions of benevolent people and the Directorate of Foundations in 1963 and there by re-offered into the service of Muslims for worship. Finally, with the devoted support of benevolent Muslims from all over the city, the great restoration, where by the mosque, the yard and the Hazirah were restored and renovated completly with the addition of a Shadirwan (fountains for having ablutions) and premises of education and administration, was completed in 2013.